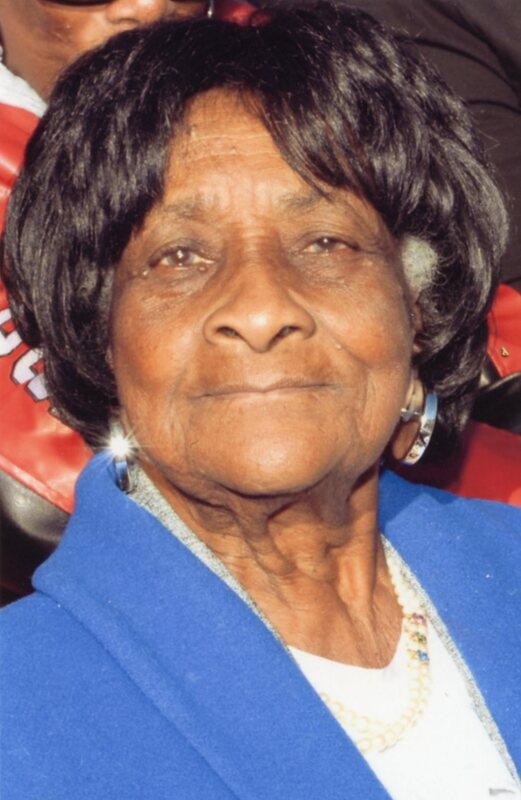 Virginia A. Harris, 93, of Columbus passed away peacefully Thursday, April 9, 2015 at the OSU Hospital. Virginia was born on September 12, 1921, to the late Edgar Baker and Esther Harrington-Baker. Virginia was a longtime member of Grace Baptist Church. She was preceded in death by her husband, Earl Harris; daughter, Margaret Hamler; sons, Albert Hamler, Michael Harris and John Hamler; grandsons, Lamont Harris, Stanley Humphrey III and Aaron Burton; brothers, Earl, David, Robert and Edward Baker; sister, Mary Milton. Those left to cherish her memory are sons, Jack (Juanita) Hamler and Donald Burton; stepson, George Harris; daughters, Jayne Freeman, Barbara (William) Hines, Betty (Stanley) Humphrey, Veronica (Tony) Hamler and Corenda (Timothy) Jordan; stepdaughter, Melody Harris; sisters, Phyllis Baker and Mollie Jones; sister-in-law, Pansy Thurman; 97 grandchildren, great-grandchildren and great-great-grandchildren; host of nieces and nephews. Many thanks to the caretakers who cared for her during her final days. Visitation begins at 2pm with services at 3pm, Saturday April 18, 2015, at Grace Missionary Baptist Church, 1182 N. 6th St., Columbus, OH 43201. Interment 10:00am Monday at Glen Rest Memorial Estates. Ministry of comfort entrusted to MARLAN J. GARY FUNERAL HOME, THE CHAPEL OF PEACE 2500 Cleveland Ave.